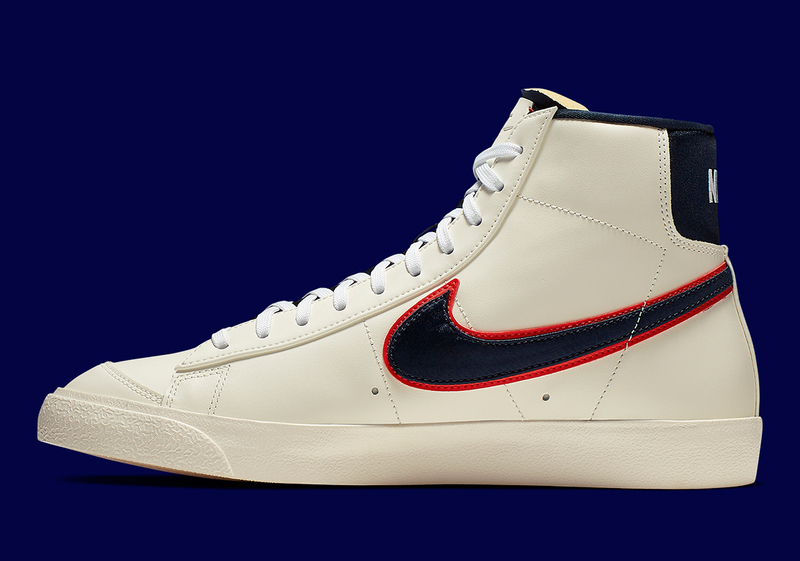 Nike’s Blazer Mid Vintage ’77 has stormed back onto the scene in recent months with a plethora of clean makeups, and the latest pair to surface is this new cream leather style, complete with sporty navy and red accents. Although we’ve seen a proliferation of canvas iterations over the past few weeks, this makeup returns to its basketball roots with a timeless leather upper, and also opts against the shaggy suede toe cap from other contemporary Blazers for the sake of continuing its all-leather stylings. 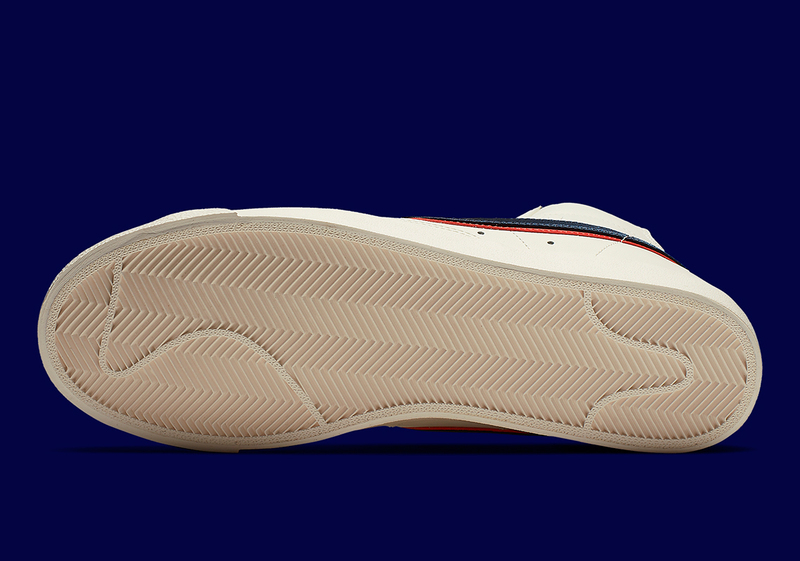 A rich navy is then used on the exposed foam tongue, heel, and the midfoot’s Swoosh, where it’s surrounded by bright red trim for a patriotic contrast. 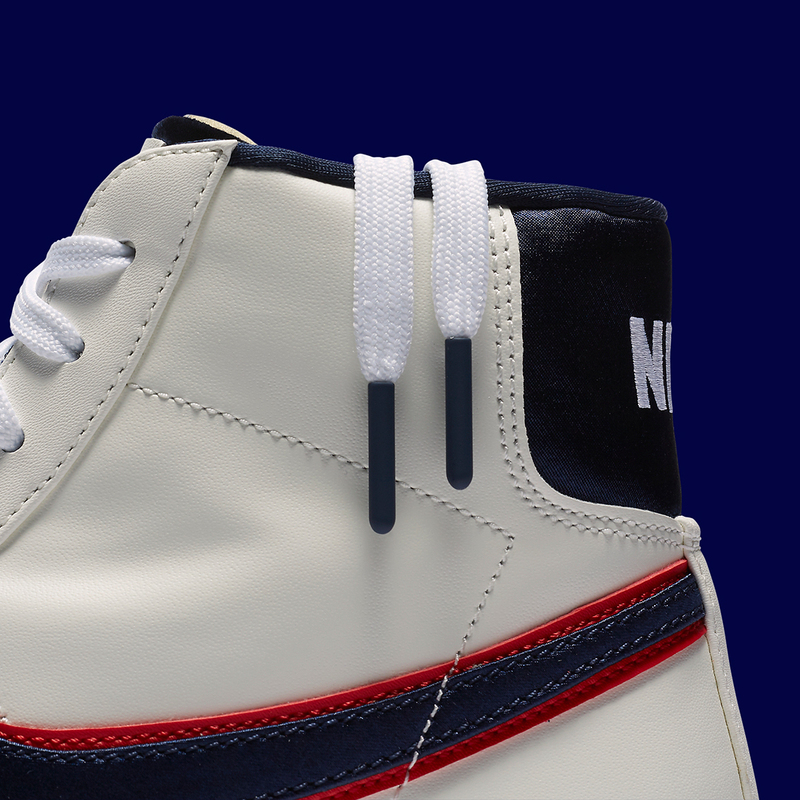 White laces and more tonal cream stylings on the midsole and outsole then complete the look. 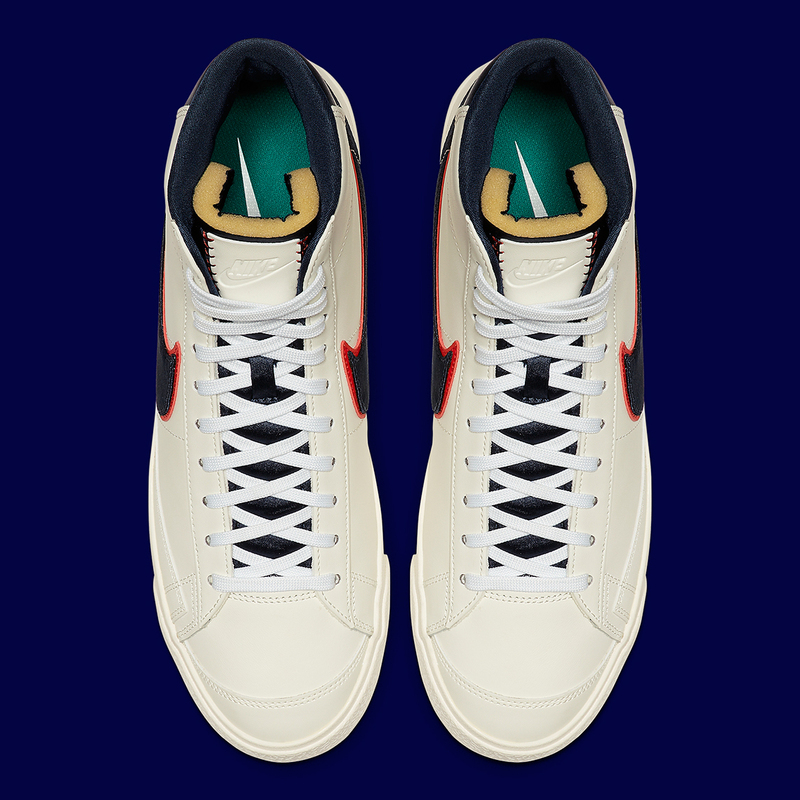 Part of the Swoosh Brand’s “City Pride” pack, you can expect these “new classic” Nike shoes to release on Nike.com and at select NSW stockists on April 12th for an even $100 USD. 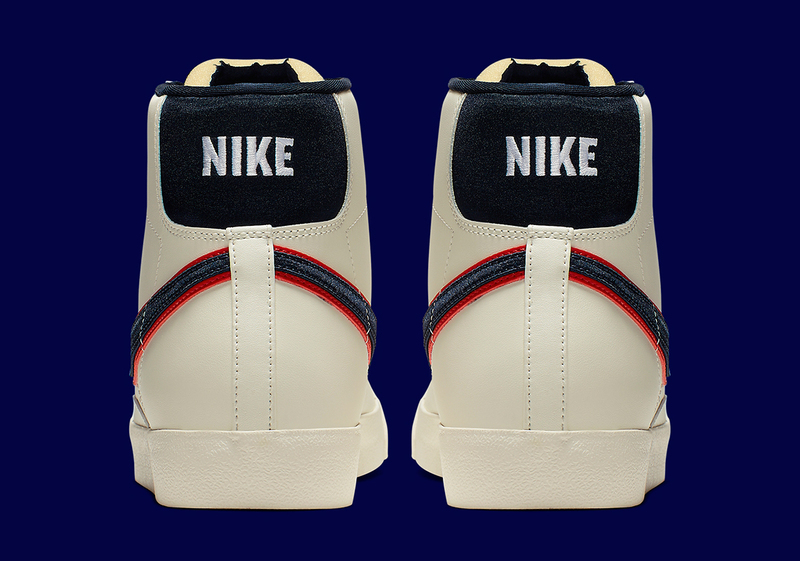 The post The Nike Blazer Mid 77 QS Appears In Cream Leather appeared first on Sneaker News.